He has performed with many diverse ensembles, including Taiwan National Symphony, Czech National Symphony, Saint Louis Symphony, Panama National Symphony, Vermeer String Quartet, Dartmouth Wind Ensemble, University of Wisconsin-Madison Marching Band, Nexus, TCL Group Skiffle Bunch Steel Orchestra, BPtt Renegades Steelband and Starlift Steel Orchestra. 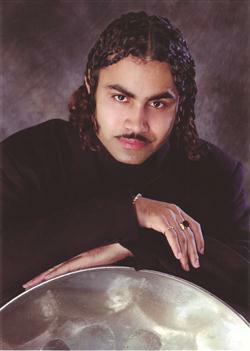 From 2004 to 2006, Teague served as musical arranger of the TCL Group Skiffle Bunch Steel Orchestra for the most prestigious Steelband competition in the world, Panorama; and for the 2005 edition of the World Steelband Music Festival held in Madison Square Garden, New York. He is currently the musical arranger for the Starlift Steel Orchestra, one of the most celebrated Steelbands in the world.